Have personal situations that you would like to reclaim your power from? Would you like a stronger spiritual foundation? 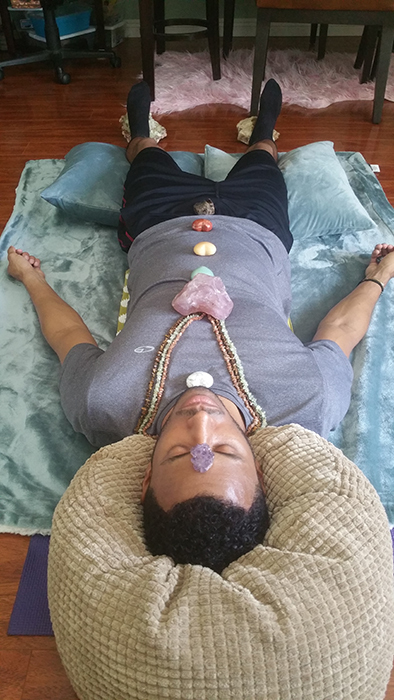 Crystal Healing with certified yoga instructor, herbalist and Crystal Healer MkCoi Zeno is for you. Get ready to shift your paradigm using breathwork, yoga, guided meditation and natural crystals. Crystals can transmute energy within the chakral body and open up cosmic awareness. Explore your consciousness and live in your purpose. Greater things "YOU" will do! Contact MkCoi to book your introductory session at SoulPlay Yoga!